“There are about 62 LEGO® bricks for every one of the world’s 6 billion inhabitants” …on any given day, approximately 2.5 per inhabitant in this home lurk, unbeknownst to wandering bare feet – only to be startlingly discovered in dark of the night. Foot injuries aside, I find these little toys to be a brilliant engineering invention and hours of fun for creative young minds. 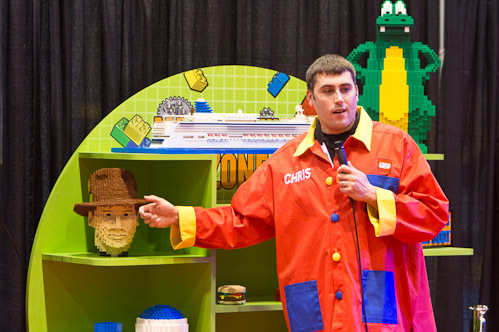 LEGO KidsFest is coming to Denver, April 27-29, 2012! Not only do I recommend letting your children spend endless hours building and creating with these amazing blocks, I say set them on a career path – because, yes, there really is such a thing – real life example: Chris (above photo…don’t know him personally but his name is on his shirt). He’s a Master Builder…and indeed, he gets to play with LEGO blocks for a LIVING…how sweet is that!? Step #1 to a rockn’ career with the LEGO® company: ENTER HERE TO WIN TICKETS to Lego KidsFest! 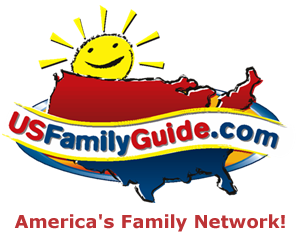 This giveaway, sponsored by USFamilyGuide, is good for (2) tickets to the opening night session on Friday, April 27, 2012 (4-8:30pm). One winning entry will be chosen (by USFamilyGuide) from my direct blog link. Contest ends Monday, April 23rd. Winner will be notified via email. Stay tuned for further details, a full LEGO KidsFest review and super cool photos!